Hizbullah uses its image, language, and its charismatic leader, Hassan Nasrallah, to legitimize its political aims and ideology and appeal to different target groups. Hizbullah is not only a leading political actor in Lebanon and a dynamic force in the Middle East, but it is also distinguished by a sophisticated communication strategy. From relatively humble beginnings in the 1980s, Hizbullah’s political clout and its public perception have followed an upward trajectory, thanks to a political program that blends military, social, economic, and religious elements and adapts to changes in its environment. Its communication strategy is similarly adaptive, supporting the group’s political objectives. Hizbullah’s target audience has expanded to a regional and global viewership. Its projected identity, too, shifted from an Islamist resistance party opposed to Israel’s presence in Lebanon to a key player within the Lebanese state. At the same time, Hizbullah’s image has retained fixed features, including its image as an ally of Iran; its role as a resistance group (to Israel); and its original base as a religious party representative of the Lebanese Shiites. 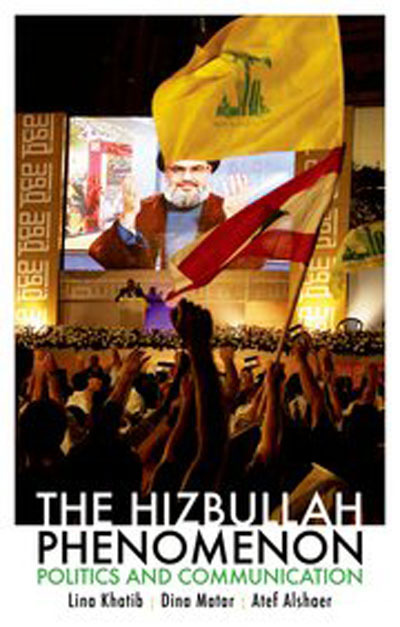 The authors of this book address how Hizbullah uses image, language, and its charismatic leader, Hassan Nasrallah, to legitimize its political aims and ideology and appeal to different target groups.